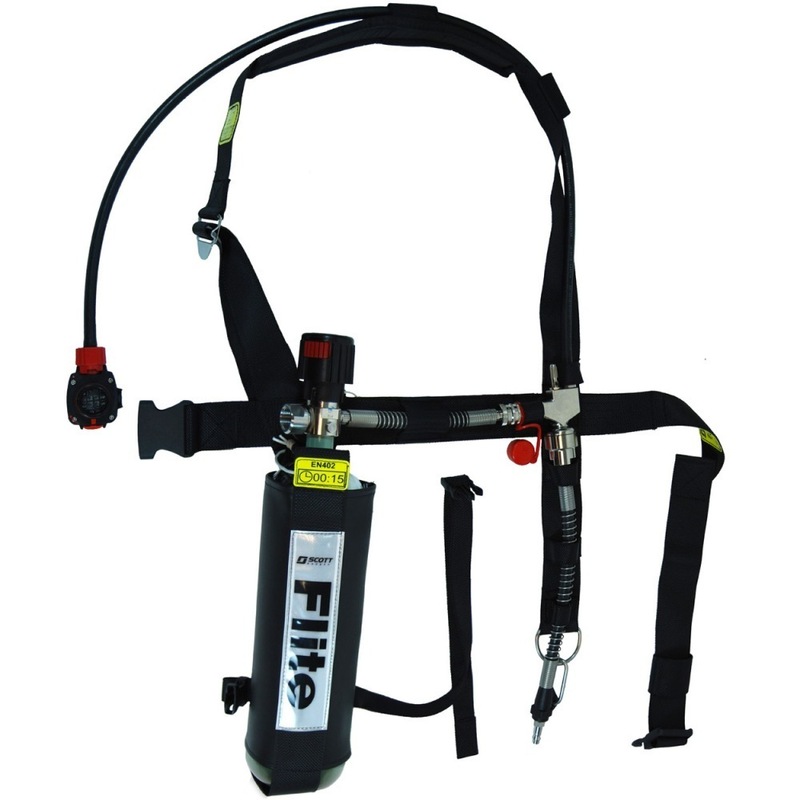 The Flite COV is a positive pressure airline breathing apparatus with the option of a 10 or 15 minute compressed air cylinder supply for emergency escape. If needed, the switch over from your primary air supply to the emergency air supply cylinder is completed by an automatic change over valve. Flite COV can be used in confined space entry and for any number of tasks in a wide variety of industries such as chemical, oil & gas and public utilities. Flite does not come with a face mask or cylinder and these are shown as options. The Flite COV features adjustable, padded webbing for the comfort of the user. Optional hip mounted emergency escape cylinder. The set offers easy access and manoeuvrability in small spaces. Can be used with either the Vison 3 or Promask PP facemasks. Escape cylinders in a range of durations and materials.